The two I'm thinking about are the Straight Ahead power amp, and the Quilter Pro Block. Has anyone played through both and have an opinion on one vs the other? I haven’t tried the straight ahead, but the problock is a sweet little amp. The eq on the problock does not get me the low end I need in some circumstances, but think the eq controls on the octal might solve that issue. If you are ever in the Brattleboro area you could try mine out. I’m not playing out a whole lot either so I would loan it to you for a week or so. I've used both the Straight Ahead and Quilter OD200. The V8+SA+reverb pedal is a good combination. Plenty loud and sounds great with steel. With the Quilter clean channel, the V8 sounds just as good, maybe better. 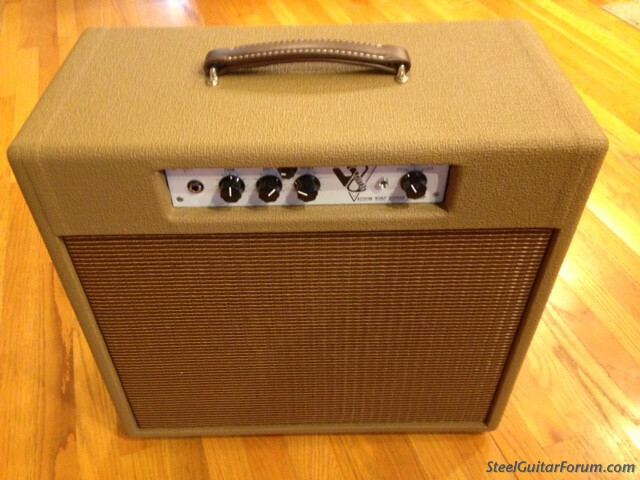 The a Quilter has EQ, so it gives you a lot more tone shaping and is useful as a stand alone amp head. I mounted the Straight Ahead in a small 12" cabinet and use it in a few different set ups. There's been lots of discussion on the Talk Bass forum about Class D power only amps. The Baby Sumo sounds interesting. I use Straight Ahead with a Sarno Tonic preamp, more than enough power, great sound. Had a Quilter Tone Block at one time. I prefer the Straight Ahead. I have the Straight Ahead Power Amp - light & compact. The V-8 also sounds great using the NV112 power amp & speaker. The V-8 is the ticket - amazing the sounds you can get with only Gain / Treble / Bass plus the amount of gain with no noise. The SGF is always a go-to source for equipment that really works. You should consider the Quilter Toneblock 201. The Surf setting has a clean scooped mid-range which I think lends itself well to pedal steel. Depending on where the gain is set,you can get a little more "tube warmth" if you need it but it behaves very much like a tube amp and sounds sweet. You'd have to use a reverb or delay pedal with it. Thanks for all the ideas guys, and thanks for the offer Rick! I don't make it down to Brattleboro much but we should find a day sometime to connect and do some playing. I guess I'm mostly curious about how the clipping, or distortion sounds with the Quilter compared to a super clean amp with power to spare. I usually use a 50 watt combo with the band. There's a little breakup, or natural compression when I get loud, which I think works well for the sound of the group. I sorta like when the amp pushes back a bit, rather than having to flip on an overdrive to get a little hair. 50 watt tube or solid state? My favorite thing about the quilter is the dynamic between the gain and the limiter. You've probably seen the demos online. Limiter seems to smooth out the roughness of the gain, which is not a control I've ever seen anywhere else. The resulting tone is really fun to play with. Volume-wise, I've never wanted for power, even in a raucous rockabilly situation. The straight ahead looks really cool too though...I'd live to try one. I have a couple Quilters, though not the specific one you ask about. I think the “hair” is pretty organic sounding and the amp pushes,or rebounds, a lot like a tube amp. Keep in mind that Class-D clipping sounds MUCH worse (IMO) than regular solid state clipping, or, of course, tube clipping. So it is to be avoided altogether, either with a limiter or just plain old volume restriction. Are they still in production ?? Or just send Jay Ganz a PM. He's here on SGF. Looking into grabbing a little power amp to combine with the V8...The two I'm thinking about are the Straight Ahead power amp, and the Quilter Pro Block. Has anyone played through both and have an opinion on one vs the other? Kinda apples and oranges here. 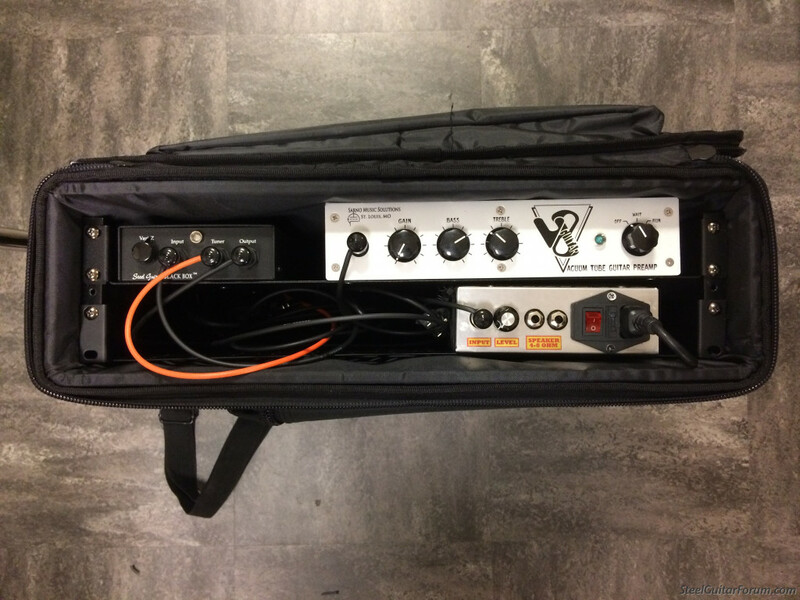 The ProBlock is a complete pre/power amp, whereas the Straight Ahead is a power amp only and costs half as much. Here's one advantage for the Quilter option, from an experience I had with a V8 into a Tone Block being used for power amp only. One of my vintage tubes in the V8 decided to go microphonic on me. It took me about 30 seconds to flip the switches off, plug guitar cable into the Quilter, change the gain setting, flip switch back on, and I was back in business. And yes, the Quilters are capable of tube-like warmth with the right settings. But if clean headroom is what you want, the Straight Ahead gives you 500 watts of it. Yes, but you can just go straight into the fx return of the Quilter with another preamp. Tommy makes a good point there about having that Quilter preamp to use if you need it. There are lots of used Quilters available, putting them in roughly the same price range for a used Problock. For those of you who have run a preamp into the effects return of the Problock.. Where does the signal come in? Is it just before the master knob, or do you get the reverb too? I'm not too concerned because I'll pretty much always have an effects board, curious though. The two amps I use most often are Standel combos with 15" JBL's. One is all tube and 50 watts, the other is 70 watts solid state. They are about the same in output. Thanks for that info, Rick. I was thinking there was some type of distortion circuit on the master as well as the pre, but it sounds like if you go into effects return with a different preamp and turn the master down it just gets quieter. powered by Quilter 101 in the back of the cab. how are you all hooking up the V8 to your tone blocks in order to bypass the preamp in the Quilter ? also, has anyone tried this with the mb200 ?